One of a kind vintage, Barrett jacket. American Apparel brand. 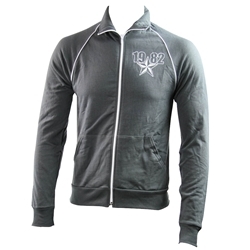 American made jacket features the vintage Barrett logo on the front and the year Barrett was established on the back.